Bavarian Performance Group LLC (“BPG”) provides a two year unlimited mileage warranty on labor and parts under the following circumstances: The customer must purchase all parts required to repair any damage, defect, failure or malfunction identified by BPG from BPG. If the customer declines to replace all the parts identified by BPG in the course of the repair, BPG will not warranty the repair or any replaced parts. 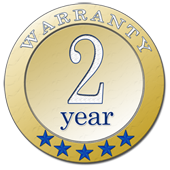 BPG will only warranty parts that it has replaced in the course of a repair. If another part breaks or malfunctions after a repair is performed that was not replaced by BPG, BPG is not liable for that part regardless of its relationship to the original repair. This warranty does not cover maintenance items unless they are deemed defective which is up to the sole determination of BPG. If a maintenance item is deemed defective, BPG will replace the defective parts at no cost to the customer. Such items include but are not limited to the brake pads, brake rotors, filters, belts, wiper blades and fluids. This warranty also does not include used parts. Customers who instruct BPG to repair a vehicle with used parts expressly waive any and all rights under the above described warranty as well as any and all claims for damages to property and/or for personal injury, and will be required to execute a waiver of warranty and liability before any and all repairs are performed. This warranty expressly excludes repairs performed with parts supplied by the customer, whether new or used. Customers who instruct BPG to repair a vehicle with new or used parts other than those recommended by BPG expressly waive any and all rights under the above described warranty as well as any and all claims for damage to property and/or for personal injury, and will be required to execute a waiver of warranty and liability before any and all repairs are performed. Your invoice is your proof of warranty and the warranty is effective from the date the invoice. Failing to disclose information about your BMW that may impact the quality of your repairs. Failing to service and maintain your BMW according to your vehicles owner’s manual. Failing to heed warning lights on your vehicle in accordance to your BMWs owner’s manual.